Recommendations to help you give your animals the care they need and deserve. 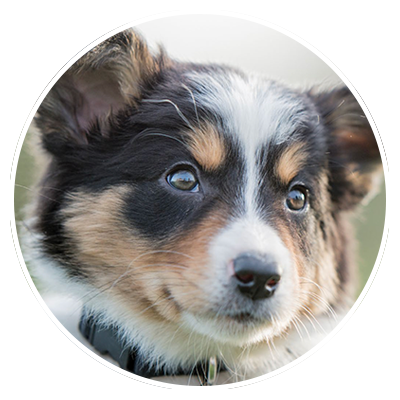 How can you provide the best possible care for your dog, cat, horse or other companion animal? 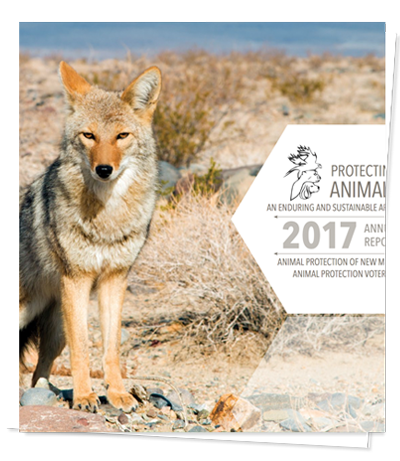 New Mexico residents should be aware of the basic standards of animal care required by our state laws. One requirement is the provision of necessary sustenance, which can be defined as food, water, shade, and shelter. State law also requires rabies vaccinations for dogs and cats. Other aspects of good care include spaying and neutering, humane training, and proper means of confinement and identification. Here, then, are some recommendations to help you give your animals the care they need and deserve. 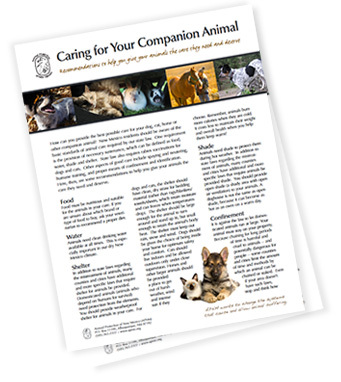 Download the guide: Caring for your Companion Animal. Food must be nutritious and suitable for the animals in your care. If you are unsure about which brand or type of food to buy, ask your veterinarian to recommend a proper diet. Animals need clean drinking water available at all times. This is especially important in our dry New Mexico climate. In addition to state laws regarding the mistreatment of animals, many counties and cities have additional and more specific laws that require shelter for animals be provided. Domesticated animals (animals who depend on humans for survival) need protection from the elements. You should provide weatherproof shelter for animals in your care. For dogs and cats, the shelter should have clean, dry straw for bedding material (rather than rags/blankets/towels/sheets, which retain moisture and can freeze when temperatures drop). The shelter should be large enough for the animal to turn around and stand up in, but small enough to retain the animal’s body heat. The shelter must keep out rain, snow and wind. Dogs should be given the choice of being inside your home for optimum safety and comfort. Cats should live indoors and be allowed outdoors only under close supervision. Horses and other larger animals should be provided a place to get out of harsh weather, wind, and intense sun if they choose. Remember, animals burn more calories when they are cold. It costs less to maintain their weight and overall health when you help them keep warm! Animals need shade to protect them during hot weather. In addition to state laws regarding the mistreatment of animals, many counties and cities have additional and more specific laws that require animals be provided shade. You should provide open shade (a shady area with open air ventilation) to your animals. A doghouse is not the same as open shade, because it can become as hot as an oven on a warm day. It is against the law to let domesticated animals run at large. Your animal must stay on your property. 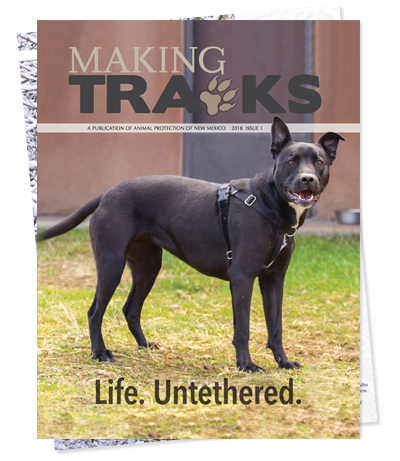 Because chaining for long periods of time is harmful and cruel to animals – and potentially dangerous for people – some counties and cities limit the amount of time and methods by which an animal can be chained or staked. Even if your area doesn’t have such laws, stop and think how frustrated and lonely a chained dog must be. Dogs, cats, and horses are, by nature, intelligent, social creatures. They need the company of people or other animals for their well-being. Animals who are chained or confined all of the time develop bad behaviors such as constant barking, territory marking, and aggression – or, in the case of horses, cribbing. Limit the amount of time your animal is tethered or confined. Take your dog for a walk. Spend some time grooming your horse. Play with your cat. Put yourself in their place and do what you can to provide the best possible care! State law requires that dogs and cats be given a rabies shot every three years. Your animals should receive regular veterinary care to prevent and treat disease or injury. Follow your veterinarian’s recommendations on preventive care, including disease-preventing shots, for your animals. Many counties and cities regulate the number of dogs and cats people can keep. “Hobby breeding” permits are intended to help control breeding and prevent an overpopulation of dogs and cats. Spaying or neutering (common surgeries that prevent companion animals from having offspring) keeps millions of unwanted animals from being killed each year. A spayed or neutered animal is healthier, less likely to roam, and will make a more devoted companion. Many programs are in place to help with the cost of spay and neuter surgeries. Please contact your local humane society or Animal Protection of New Mexico at 505-265-2322 or visit us at apnm.org/spayneuter for more information about spay/neuter programs in New Mexico. Whether you want to train a dog, a cat, or a horse, the most humane technique is also the most effective: positive reinforcement. The idea behind this commonsense training method is to reward desired behavior, using proper timing and consistency. For more information, please contact Animal Protection of New Mexico at 505-265-2322. For links to further resources about humane training, please visit us online at www.apnm.org/chaining or equineprotectionfund.org/stewardship. Keep an ID tag on your dog and cat. The tag should state the animal’s name, your phone number and your address. If your dog or cat gets lost or picked up by animal control, you can recover your animal faster if this tag information is available. To prevent accidental injury or death, cats’ ID tags should be attached to a breakaway collar. Microchips serve as additional protection, in case your lost dog or cat becomes separated from his or her collar and tag. Remember, animals in our care depend on us completely for survival as well as happiness. Stop and think about your animals’ daily lives. Are they bored, lonely, hot or cold? Are they suffering silently in your own backyard? Put yourself in their place and imagine what their daily life is like. Would it make you happy? Take care of your animals because it’s the right thing to do AND it’s the law. If you witness animal neglect, cruelty, fighting, hoarding, or other abuse, please contact your local animal care and control office or law enforcement agency. Or, you may call Animal Protection of New Mexico’s Animal Cruelty Hotline toll-free at 1-877-5HUMANE (1-877-548-6263).